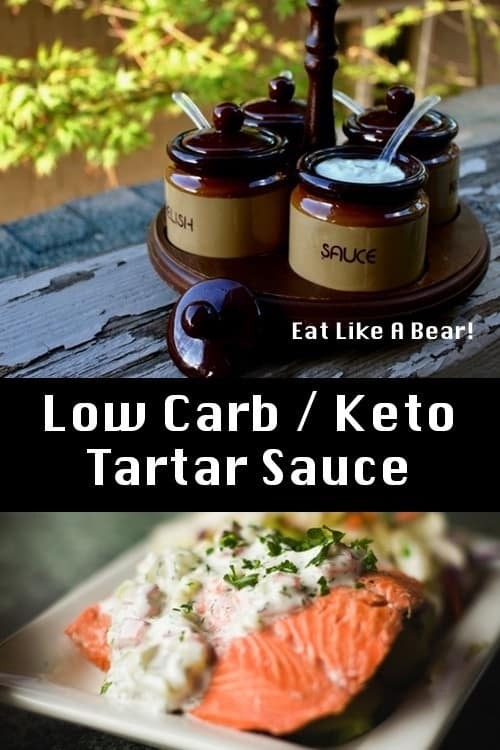 Keto Tartar Sauce, Your Low Carb Tartar Sauce Solution - Eat Like A Bear!™ For Weight Loss! 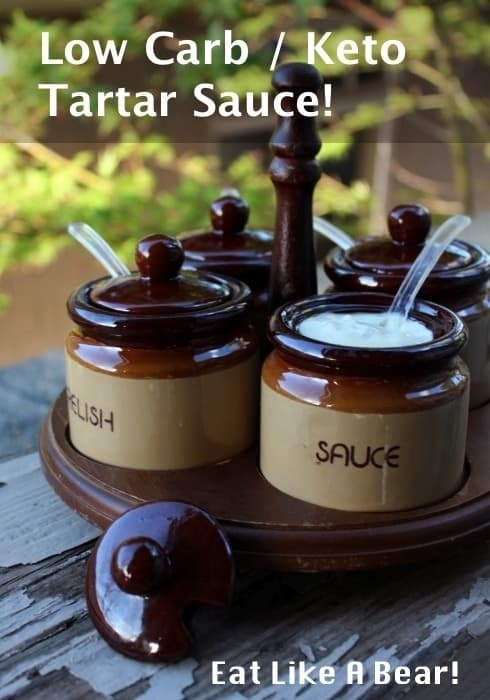 Tartar sauce is easy to make and it is naturally low in carbohydrates, making keto tartar sauce a natural. It has pickles with their acetic acid, a component that will help reduce your insulin spikes. As a bonus, this stuff is delicious. Once you make your own tartar sauce, you will never go back to the jarred version again.  You will have an eating experience at home that is cheap, easy, and unparalleled in tartar sauce flavor. 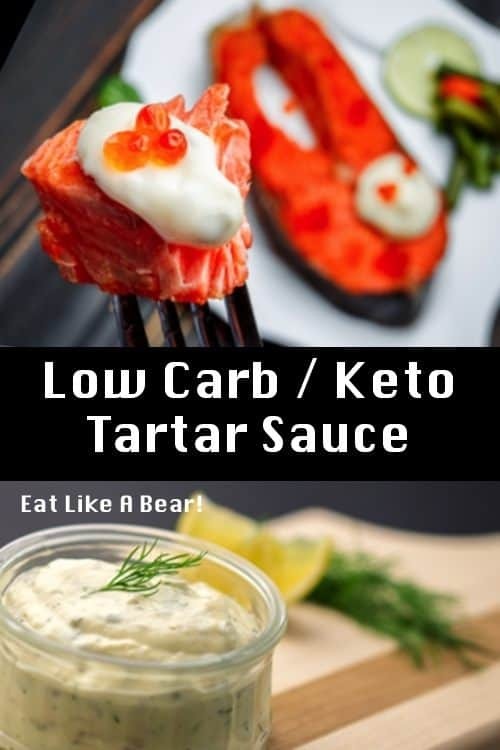 I never, ever buy tartar sauce and you should not either, as simple and delicious as this low carb solution is. Begin with a good mayonnaise, either homemade or a store-bought variety that has a good flavor and is made with a healthy oil. Check the label for the carbohydrate content. Some of these mayonnaise brands mess up the original mayonnaise concept by adding sugar, as you have probably noticed as you search for other keto and low carb foods. When you make up this tartar sauce, don’t be afraid to double or triple it. It will last for weeks in your refrigerator. 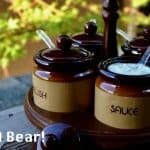 This sauce is super for tuna salad, crab salad, or salmon salad. Thin it a bit with cream to use on crab Louie. Scoop the mayonnaise into a bowl large enough for mixing. Add the minced onion and dill pickle, mixing thoroughly. Allow this mixture to sit for a few minutes while the liquid in the onion and pickle thin down the mayonnaise. Stir again. If the tartar sauce is too thick, thin with a bit of dill pickle juice. Add the pickle juice a little at a time. You can even turn your tartar sauce into a pour-able salad dressing by adding the dill juice. For variation, add a few capers or a bit of minced fresh tarragon. 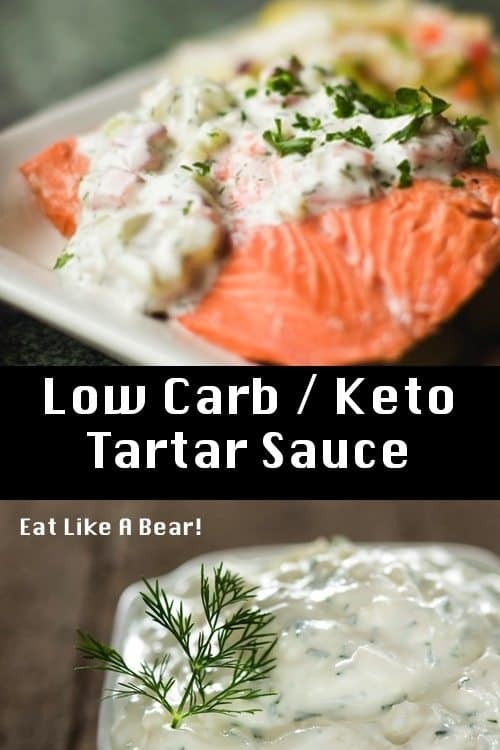 Enjoy your keto tartar sauce in your low carb adventures! Measure the mayonnaise and sour cream into a bowl large enough for mixing. Allow this mixture to sit for a few minutes while the liquid in the onion and pickle thin down the mayonnaise and sour cream mixture. Stir again. If the tartar sauce is too thick, thin with a bit of dill pickle juice. Add the pickle juice a little at a time. 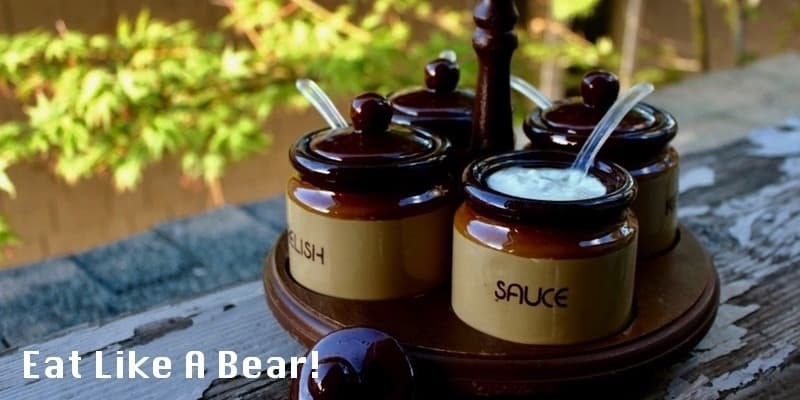 You could turn your tartar sauce into a pour-able salad dressing! Find my thoughts on intermittent fasting meal ideas, including “the big salad,” with dressings like this tartar sauce. 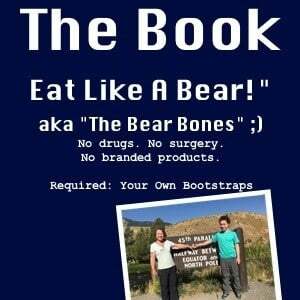 You can also find the Eat Like a Bear! book, right here.